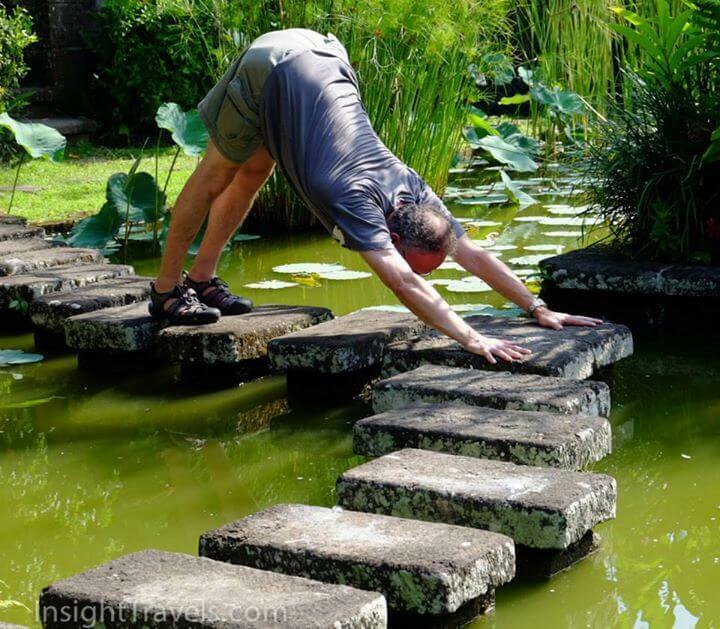 An aquatic downward dog in Ubud. 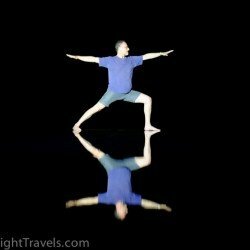 It’s not smoke and mirrors… it’s an infinity pool and yoga magic! BJ & Lauren take great pride in the trips they offer, as they can personally vouch for every hotel, every restaurant, and every activity that you will experience. They craft each element of the trip with intention, and they understand that it is this careful attention to detail that sets them apart. 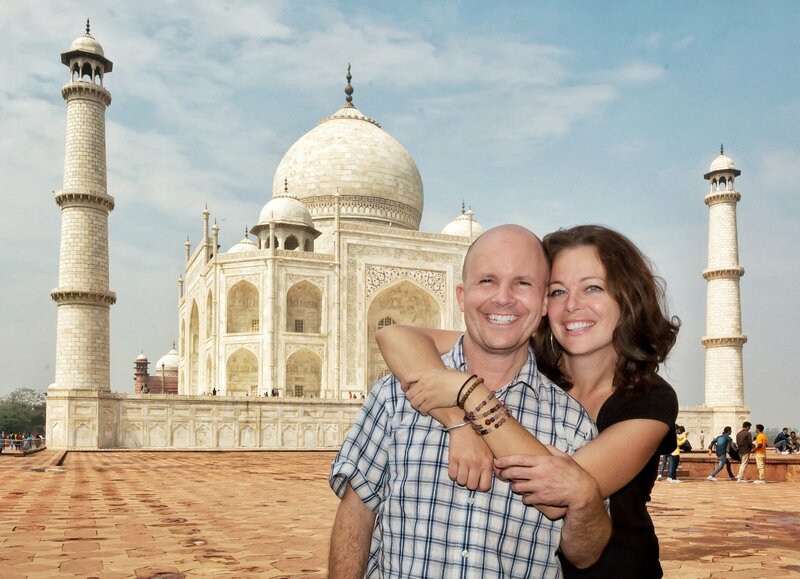 Fueled by their passion, armed with know-how, and supported by knowledgeable local contacts in all of their destinations, BJ & Lauren set the scene for the vacation of a lifetime. They provide not only on-the-ground support and guidance during the trip, but they are available to answer any and all questions before the trip begins. 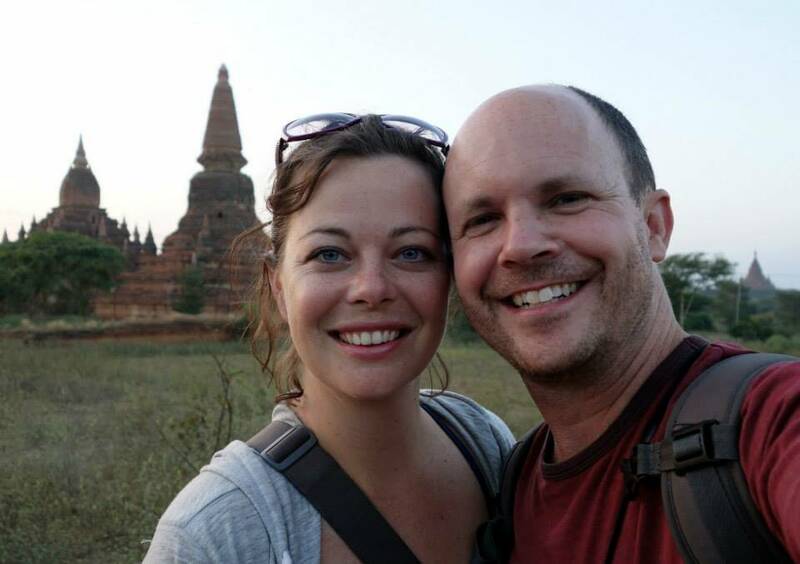 From giving advice on the best flights and travel insurance to providing a packing list, FAQ, information about local food, and even a tiny “phrasebook,” BJ & Lauren pride themselves on these ‘nuts & bolts’ of personalized service. In addition, as a guest, you receive free travel consulting services (normally a $200 value) should you choose to extend your travels in Asia; let them help you plan your post-retreat adventure in Singapore, Bangkok, or beyond! As one of their most ‘frequent fliers’ put it recently, BJ & Lauren make everything easy for you. Once you arrive in your destination country, your trip is all-inclusive—your meals, transportation, lodging, site fees, donations, and tips are all taken care of. The research has been done, the itinerary carefully laid out, the reservations made, the t’s crossed and the i’s dotted. All you have to do is show up and take in all your destination has to show you! So….let’s get going! Daily classes will be woven around the rhythm of each day. 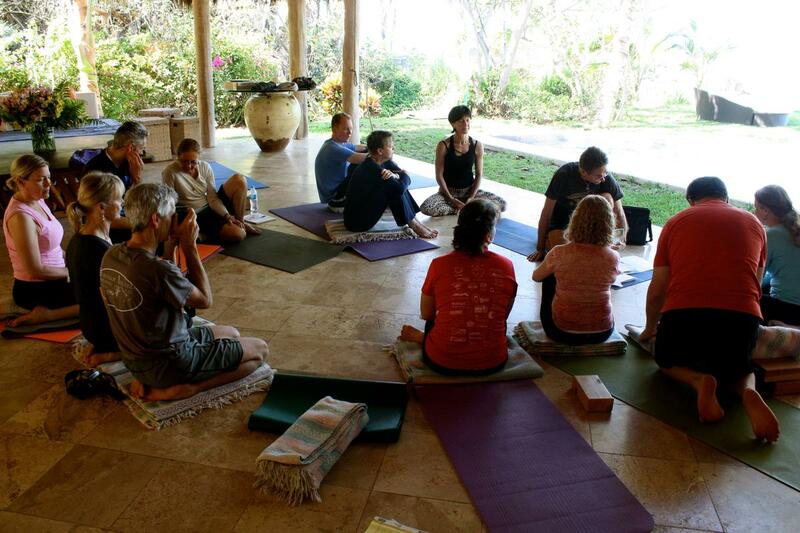 Since there are numerous opportunities to explore the landscape and culture of Bali the class schedule will vary. Bring a journal. Invite the healing energy of Bali to open the door of your heart. There will be daily meditation. 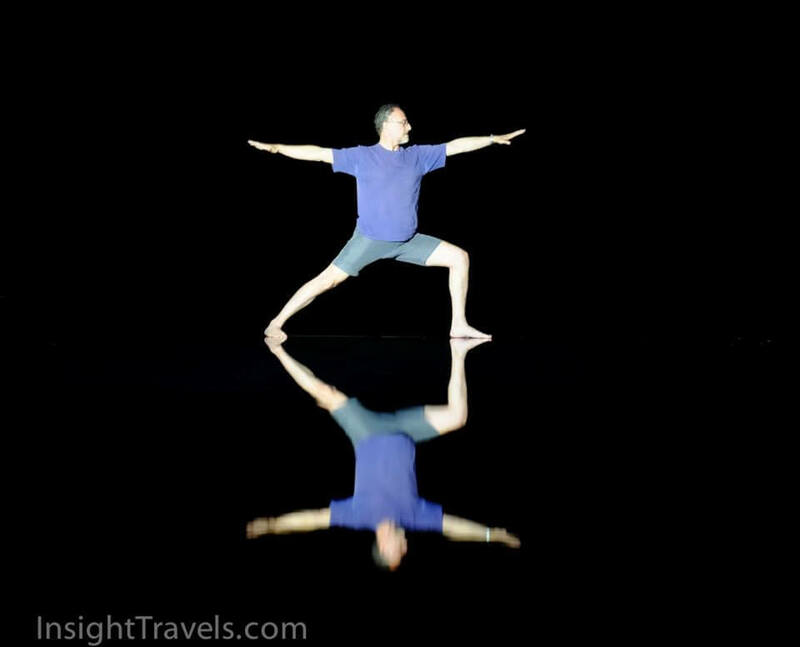 We travel the world year-round looking for comfortable hotels in gorgeous areas that have stellar locations, relaxing spas, convenient amenities, and innovative yoga spaces–we boldly do yoga where no one has done yoga before! We have spent years and a small fortune traveling to, inspecting, and staying in all of these accommodations, so we like to protect them (like our babies!) We don’t publish the names on the website because we have worked very hard to establish this combination of hotels and we’d like to think of them as “trade secrets.” We can vouch for all of these accommodations, as we have stayed there ourselves and developed relationships with the owners and staff. All hotels we use have hot and cold water, wifi (in the room or in common areas), and air conditioning. [Note: twin beds are available if you and your roommate request them in our Registration Questions.] Please see the info sheets below for photos (most of them taken by us!) 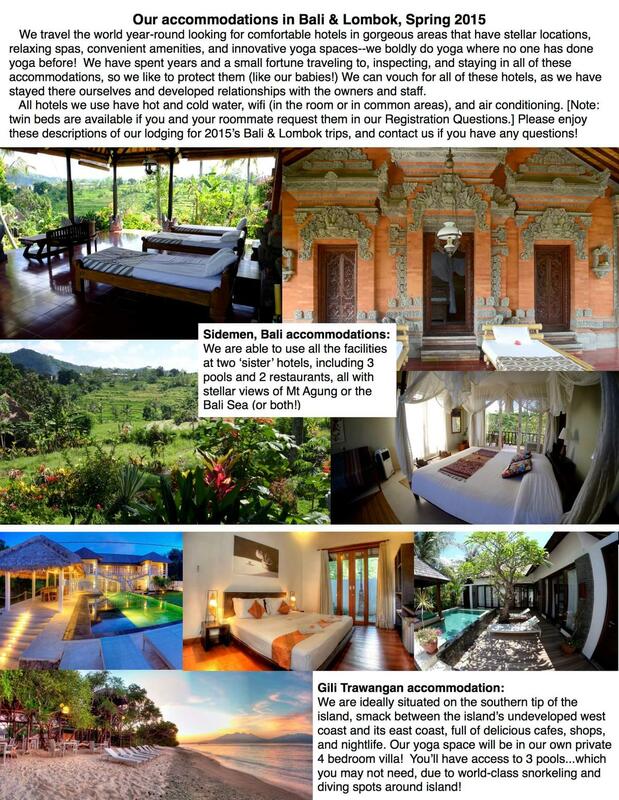 and know that you can click on the pictures to see a larger size; enjoy these descriptions of our lodging for 2015’s Bali & Lombok trips, and contact us if you have any questions! One more note: Vegetarians will find plenty to eat in these areas, particularly with the addition of tofu and tempeh. Pescatarians (those who eat fish) will be in heaven, and we’ve successfully toured with Celiacs (allergic to gluten) in this part of the world with no problem. Indonesian food is extremely accessible to foreigners, even though it may go by unfamiliar names. In addition, tofu and tempeh are easier to find in Indonesia than anywhere else in SE Asia. (Tempeh is a soy protein similar to tofu but less processed and with greater health benefits due to its fermentation. It’s actually quite delicious!) Check it out! 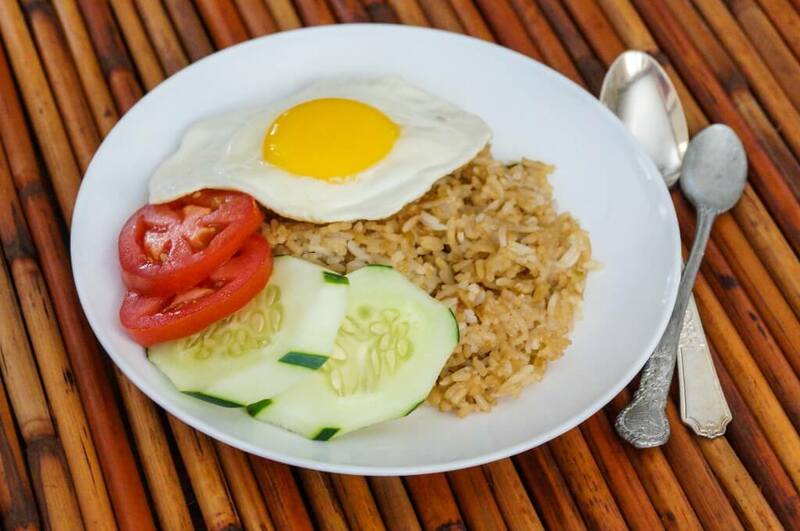 Nasi Goreng = fried rice (Nasi means rice, and Goreng means “fried.”) This can be served with meat or tofu/tempeh; typically has a fried egg on top and shrimp rice crackers on the side. Mie Goreng = fried noodles (Mie = noodles). Typically wheat noodles—think “Top Ramen” style. Sate (satay) = BBQed meat (or tofu/tempeh) on skewers. 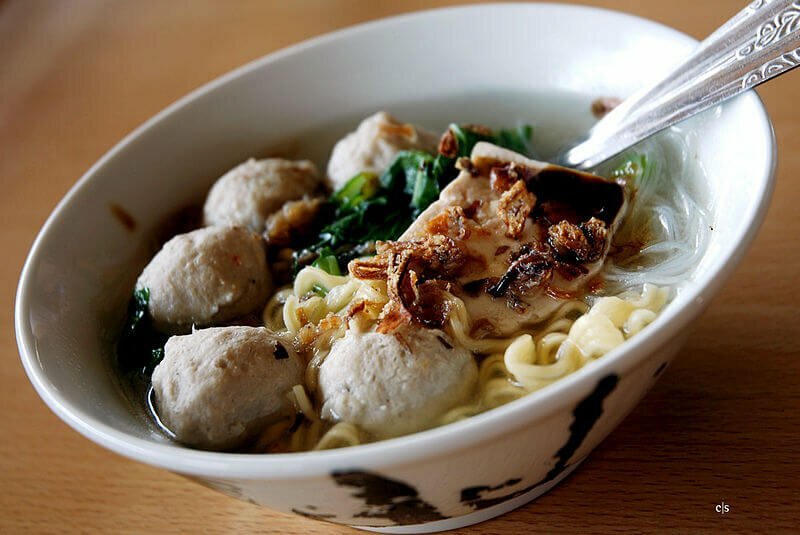 Bakso = meatball soup, but can be any sort of meat, including fish. 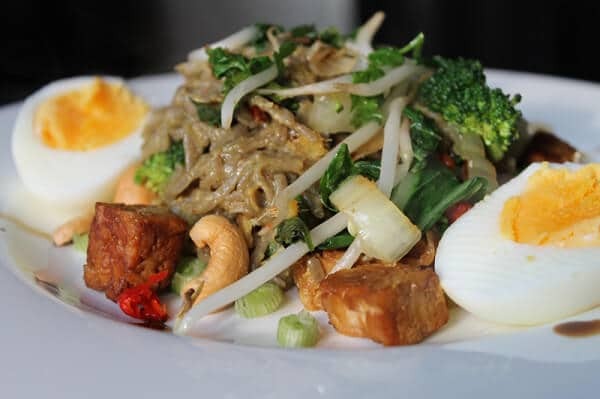 Gado gado = bear with us on this one, as it sounds off-putting but is delightful. It’s a salad of cooked greens and sprouts with peanut sauce on top, served with tofu/tempeh, a boiled egg, and a fresh salad of tomatoes, cucumber, and sometimes green beans. Typically also served with rice crackers. Somehow it all works, and is a solid vegetarian choice. Beef Rendang = recently won a CNN Reader Poll for best dish in the world (click here for that story). This dish features beef that is slooooow cooked in a flavorful curry until you’re left with melt-in-your-mouth brisket-style beef with just hints of spice. Addictive. 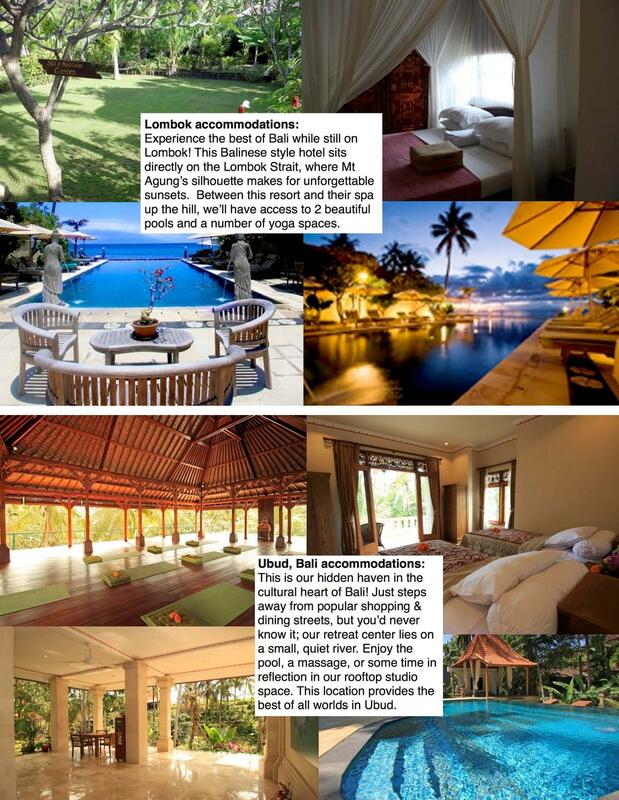 Optional activities in Bali & Lombok We’ve included in the price activities we think everyone will enjoy. However, there is plenty more to make your time in Bali and Lombok either more exhilarating or more relaxing! Here is an example list of extra activities by town; we’ve included prices when they are available. Please note that these amounts are approximate, based on 2013 prices. Visit coffee, spice & fruit plantation and try Luwak coffee. Visit a temple and a family house/compound. Organic buffet lunch in the village. Climb Mt. Batur for sunrise. $100 Drive to start at 2am, back in Ubud by around 10:30am. Lonely Planet recently ranked it as the 2nd best sunrise in the world. 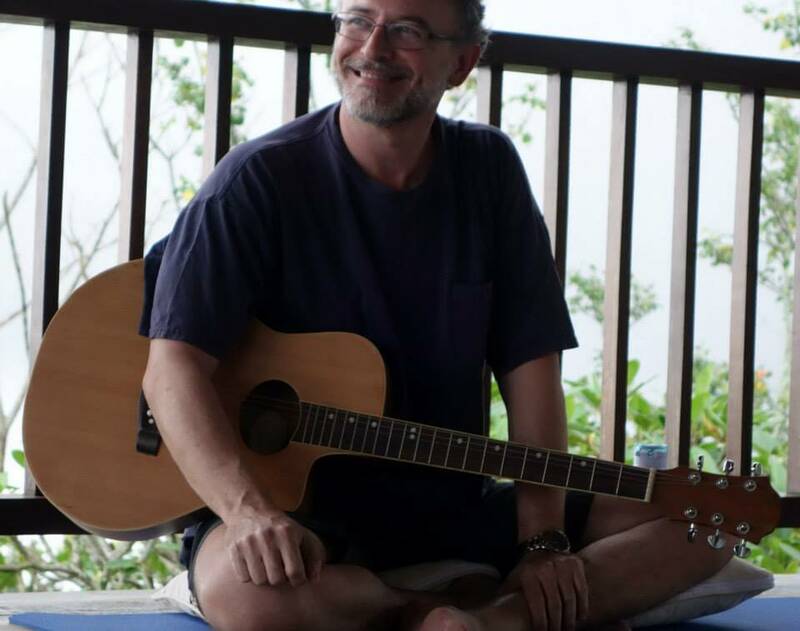 Visit a local Balinese healer/shaman. Scuba diving trips around the island with reputable diving companies; will you see turtles, eels, maybe the namesake of Shark Point? It’s possible! Yes and yes! Your passport should not expire 6 months before the end of the scheduled trip. That is, if the trip in January 1 – January 15, 2015, your passport should be valid until at least July 15th, 2015. You will receive your Indonesian visa-on-arrival at the airport for $25 USD; please do bring US dollars for this (exact change) to make the process as smooth as possible. (Edit: the cost has just been raised to $35). No vaccines are required for entry, but we encourage guests to work with their own physicians or their local health department’s travel vaccine department about these choices. The CDC’s site (http://wwwnc.cdc.gov/travel/destinations/traveler/none/indonesia) is also a good thing to check, but know that they tend toward the overly cautious side. We recommend all people traveling in Asia receive a Hepatitis A vaccine, Typhoid vaccine, and make sure their Tetanus vaccines are up to date. When people envision traveling in Asia, they almost certainly imagine a landscape thick with killer mosquitoes; we’ve found that couldn’t be farther from the truth. We actually often comment to each that we can’t believe how few mosquitoes we encounter on our travels! While you need to discuss this question with your doctor, we feel that the minimal risk of malaria only warrants a bit of “bite-prevention.” Neither of us take any anti-malarial medication; rather we use common sense approaches to prevent being bitten, including long sleeves/pants at dawn/dusk, mosquito repellant, and mosquito nets at night when necessary. There is no vaccine for dengue fever, which is also transmitted via mosquito bite, so taking the above precautions is important all around. How will I get by without knowing the local language? If English is your first language, you are truly in luck. We are constantly amazed by how much Asia speaks English—and relatively well, considering it’s usually they’re 3rd or 4th language! That said, we always like to provide you with a few words that will go a long way, including the local greetings and words like “Delicious!” (Enak Sekali!) and “See you later!” (Sampai Jumpa Lagi!) It’s not required, but it always elicits a smile and we think it’s only right to learn at least a few local words. What about food? I don’t know if I like Indonesian food! This seems to be a common concern amongst our guests, and certainly within our own families. [Lauren’s mom thinks we don’t eat (HA!) and BJ’s mom thinks we live on nothing but fried tarantulas and intestines, thanks to shows like Andrew Zimmern’s Bizarre Foods. In all fairness, though…we have eaten tarantulas. We will always give you the inside scoop on local foods and delicacies; sometimes the dishes often sound exotic (like Mie Goreng) but are usually quite accessible (Mie Goreng = “Fried Noodles.”) Even if you don’t want to venture into local fare, almost every single restaurant in Bali & Lombok have Western food on the menu, everything from pizza to French fries to spaghetti carbonara (we maintain that Bali has some of the best Italian food in the world!) No worries (and no judgment) if you’re craving comfort food—it’s available! One of our Registration Questions you’ll answer when you sign up for a trip asks about any food allergies or intolerance you may have. We’ve had celiac guests successfully navigate Indonesia (including Bali and Lombok); vegetarians should have no problem anywhere on our travels. Vegans will have to work slightly harder to ensure that no fish sauce is used in their dishes, but it is entirely possible. Celiactravel.com has GREAT printable cards in local languages to present to restaurants and hotels about your intolerance of gluten. Click here for the Indonesian version. If you have multiple dietary needs, it may be worth your while to check out these specialty cards, available in 60 different languages. Let’s talk more about your specific needs—drop us an email and ask! Do I have to hang out with the group or can I adventure on my own? You are more than welcome to participate in all or none of our scheduled group activities. We don’t want you to feel like you are at Travel Boot Camp–this is your vacation after all! That said, we plan our outings carefully in order to make them the most pleasant (best weather, fewest tourists, etc) so some of our activities DO take place around dawn. If that’s not your cup of tea, feel free to snooze away! Just make sure you have the hotel business card to show to taxi drivers (or helpful people on the street) in case you get turned around during solo exploration. We require that our guests carry travel insurance because it just makes sense. It’s a relatively small expense but affords huge peace of mind! When choosing a travel insurance policy we require that you are covered for medical expenses including emergency repatriation. We also recommend you take out trip cancellation insurance, as this may cover cancellation penalties in certain circumstances if you have to cancel your trip unexpectedly due to illness, injury or unforeseen circumstances. We like World Nomads, but ultimately you have to choose the one that is right for you. If you’re 70 years old or older, you’ll have to use a different company; we like Travel Guard. We’ll be asking for confirmation of your travel insurance 60 days before your departure. Please click on the “Travel Insurance” tab on this page to get a quote. We love the services of these companies so much that we became affiliates, so we would ask that if you do choose to purchase these policies, you do it through our links. What about money? Can I use credit cards? Will there be ATMs? Don’t count on using credit cards except for very large purchases (furniture, rugs, etc); most stores will only take cash. Some high end boutiques and galleries in Ubud will also take credit cards. There will be ATMs at every destination, they can be few and far between. ATM fees can be high (although some banks, like Charles Schwab, refund all foreign ATM fees) so plan to get out a large chunk of money instead of getting a lot of small withdrawals. ATMs are a very convenient way to get local currency, though. Make sure you alert your bank and credit card companies that you will be traveling abroad so they don’t put a hold on your card when they see it being used overseas! Can I smoke? Will other people be smoking? None of our hotels allow smoking in the room and we don’t allow it during group dinners or other group activities. 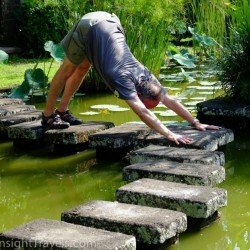 Yes, that means no smoking during yoga class, even 😉 That said, smoking is not uncommon (typically by other foreigners) and should you need to, you’ll be able to find a spot outside to do the deed. Otherwise, we’ll avoid smoking and breathe in that clean Bali air! 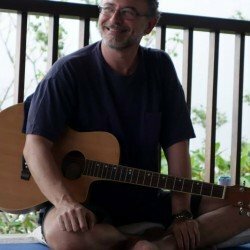 Read this blog by BJ for a better idea of how to fly from Bali to US: http://www.retreatours.com/2014/05/flying-from-the-us-to-bali; this articles covers travel time and route options. We can help you select a flight that suits your needs when the times comes. A minimum of 7 guests is required to make this trip happen, and we’re only taking up to 12 guests total. We will hold your deposit & payments until the minimum number of guests have signed up. If the minimum number of guests have not signed up 3 months prior to the departure date, we’ll give you the option to transfer your reservation to another tour or fully refund your money. * You will be able to have laundry done and/or wash small things or undergarments by hand in your room. * Although very touristed and Westernized, Indonesian culture is still relatively modest. * Keep in mind that Bj & Lauren travel year-round so we’re programmed to travel light; use this as a jumping off point, and know that the lighter your luggage is, the happier you will be while moving it. Plus, the more souvenirs you can bring back!! * At the end of the day, you’d be able to purchase almost anything you need in Bali or Lombok, so you don’t need to pack as if you’re going to the moon or a deserted island. Just pack your favorites & have fun! * At least one light scarf or sarong for covering shoulders and/or legs if you go inside a temple and are wearing shorts or a sleeveless top. (Temples require that legs and shoulders be covered. They very often will have shawls ‘for rent.’) You can DEFINITELY buy a sarong in Bali or Lombok for just a few dollars. * 3-5 lightweight shirts, short-sleeved or sleeveless/tanktops. * 1-2 swimsuits, as every hotel will have at least one pool or ocean within a stone’s throw! A swimsuit cover up, too, if you want to lounge after taking a dip. * While we don’t have anything too fancy on the agenda, feel free to bring any sundresses or lightweight dresses you enjoy wearing! * Some cozy clothes to bum around in by the pool or in your room, if that wasn’t already taken care of above. * Sunscreen; although you can buy it in Bali, it’s MUCH more expensive. * Eyeshades or ear plugs if they help you sleep in a new place or on the airplane; there are also more than a few eager roosters around! * Notebook or journal is highly recommended! * Alarm clock in some fashion, be it a watch or your phone. * If you bring your phone (for wifi, etc), don’t forget your charger! * ATM card for any money for optional activities or souvenirs; please call the issuing bank beforehand to let them know you will be traveling in Indonesia (and any other layover stops) so they don’t put a hold on your card. * A couple small packs of tissues, whether for running noses, sweaty foreheads, or emergency toilet paper. * “Wet wipes” for your yoga mat after class–you’ll be thanking yourself the next time you open the mat! * Speaking of over-the-counter drugs, you may want to bring melatonin and/or Benadryl to help you fall & stay asleep the first few nights due to jetlag. If you have a sensitive stomach when adjusting to new food, some Imodium might also be a good idea. * Speaking of drugs, we just want to reiterate that Indonesia has a zero tolerance policy on illegal drugs! * Preferred toiletries; all of the places we will be staying have soap and even shampoo in the bathroom, but you may want to bring a small bottle of conditioner. Complimentary hotel toothpaste tends to be pretty gross, so don’t forget toothpaste, too! Singapore is truly a city of superlatives! While you’re “in the neighborhood,” we would be remiss if we didn’t advise a stop in this island country. It boasts the world’s largest aquarium, one of the world’s best zoos, a phenomenal botanical garden that is under review by UNESCO for becoming a World Heritage Site, a prized National Orchid Garden, the world’s tallest ferris wheel, the best airport in the world, the most expensive building ever built (at $6B) that houses the world’s highest swimming pool (at 57 stories)…. And that’s to say nothing of the shopping and the eating!! This island country is a feast for ALL the senses. It’s a challenge not to run yourself ragged trying to see everything there is to see, which is why we’ve created a list of the “greatest hits” and a selection of hotels that are centrally located. A must on this leg of the trip is eating at a hawker center—essentially a covered food court stuffed to the gills with the tastiest, least expensive foods from around the region. Singapore is a tantalizing culinary crossroads, heavily influenced by flavors from Malaysia, China, India, as well as Thailand, Korea, Japan, and Vietnam. You can explore the city from hawker center to hawker center, if you wish! And seeing the laser show at Marina Bay Sands is a must; the only question is, which side of the bay do you want to see it from? And yes, “both” is an option, as it plays twice a night. Singapore has something for everyone, but not everyone wants to do the same thing! That’s why we’re not offering a structured tour of Singapore. Some people might want to spend all day at the National Orchid Garden, while others might prefer a hefty dose of retail therapy on Orchard Road. To each their own, we say! Instead, we can customize a trip based on how long you want to stay there (we recommend 3 days, although 2 is doable and more is better!) and how much you’d like to spend. We can create an itinerary based on your interests that you can easily follow in your own; between the MRT trains (Mass Rapid Transit), buses, and taxis–not to mention how walkable much of the city is–we know you’ll find it a safe, easy, convenient place to navigate. Hotel options vary between $50 and $5000–it’s all up to you! Contact us today to start planning your Singapore 2015 extension! We’re big proponents of Travel Insurance. We believe it instills a sense of security and assurance that sets a positive tone for the entire trip, and this is part of the reason that we require it for all Insight Travels & RetreaTours™ trips. We’ve done much research and found that we prefer World Nomads for our guests age 69 and younger (click here to learn more about World Nomads). For our guests 70 and older, we prefer Travel Guard (click here to learn more about Travel Guard). We believe in each of these companies so strongly that we’ve aligned ourselves with them as affiliates. If you choose to purchase policies through these companies, we ask that you please use these links so that we may continue to grow our relationship with them. Please watch and share the 1 minute video trailer below! Please click the photo above to learn the best (and cheapest!) ways to fly from the US to Bali. Click on a picture for the larger, higher resolution photo. Once inside the album, you can click through using your arrow keys. Please forward this page to a loved one that might also be interested. It’s a win-win! There are icons at the bottom of this page to forward this page via Email, Facebook, Twitter, and more. Every time you don’t share this page, Lauren gets blasted in the face by an elephant. And we promise to NEVER spam you! Yech! Sounds like a plan, sign me up!